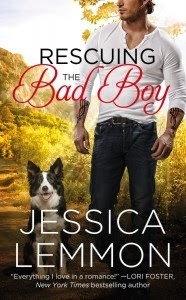 Jessica Lemmon dares to cross a fine line between love lost and love found in her new book Bringing Home the Bad Boy. Charlotte "Charlie" Harris has been in love with bad boy Evan Downey for as long as she can remember. Much to her dismay, Charlie's best friend, Rae, saw him first. Destined to live in the friend zone, Charlie sat back and watched the two of them marry, have a son, and lived what appeared to be a happy life until Rae's death. Now, years later, Evan decides to move back home. As they see each other more and more, Charlie and Evan's attraction grows. Evan is ready to move on, but can he convince Charlie to take a chance and find her own happiness with him? I know that I've been saying this a lot lately, but the emotional rollercoaster this book took me on was a-ma-zing. I loved every moment of Bringing Home the Bad Boy so much that I devoured it in one sitting. However, it took me a week to digest the beauty that is this book. I loved both Evan and Charlie. They were each other's rock. They helped each other deal with the loss of Rae in two completely different ways. For Evan, his body moved on after her death, but his heart never fully healed until Charlie helped him deal with the guilt and the anger of losing his wife at such a young age. As for Charlie, she needs Evan to show her that it is okay for the two of them to move on together. He shows her that there is a place for Charlie in his life and Evan needs her beside him. Evan takes his time pursuing Charlie, showing her the pleasures and happiness she can find with him. He shows Charlie that no matter what other people might say or think, the only thing that matters is what is in their hearts. Together, they are ready to take on the world and show everyone that second chances are worth it. As my first Jessica Lemmon book, I have to say that I'm hooked. I loved Bringing Home the Bad Boy. 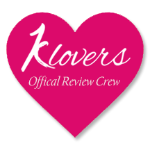 I loved the characters and the slow-building romance. And, of course, I love that it is the first book in a new series! The group of characters that make up Charlie and Evan's friends have a lot of possibilities and even some history. I have a feeling that this is going to be a magical series and I'm so glad that I get to go along for the ride. Jessica Lemmon has always been a dreamer. At some point, she decided head-in-the-clouds thinking was childish and went out and got herself a job. …And then she got another one because that one was lousy. And when that one stopped being fulfilling, she went out and got another …and another. Soon it became apparent she’d only be truly happy doing what she loved. And since “eating potato chips” isn’t a viable career, she opted to become a writer. With fire in her heart, she dusted off a book she’d started years prior, finished it, and submitted it. It may have been the worst book ever, but it didn’t stop her from writing another one. Now she has several books finished, several more started, and even more marinating in her brain (which currently resides in the clouds, thankyouverymuch), and she couldn’t be happier. She firmly believes God gifts us with talents for a purpose, and with His help, you can create the life you want.